Croydon Area Guide - What makes Croydon so great? Where do Croydon locals go? Next door to East Croydon Station sits over 30 shipping containers with a variety of food and drink. Some of the biggest names such as Meat Liquor and The Breakfast Club have outlets. A wide variety of delicious wraps at great prices! One of, if not the best Indian restaurant in Croydon. It has a wide variety of dishes on the menu, including game curries. The food is delicious and portions are perfectly sized to keep you full - but not to the point of bursting. A sandwich deli right in the heart of Croydon. The menu is different every day and the prices are great for the amount you get. Engrained in Croydon's history and open 6 days a week, you can pick up produce from pretty much any part of the world and it is also very cheap! My mum who still lives in Croydon is a fan of 3 bunches of bananas for only £1! There's a great choice of stores in The Whitgift Centre! A cosy little restaurant in South Croydon with fantastic service and great food! Make sure you ring up in advance and request a booth when you book to experience the uniqueness of this restaurant. A family business in Thornton Heath open for over 25 years and well known in the community, doing PC and TV sales and repairs. Guided tours and a visitor centre explaining the milling process, it's a great day out for the family. A charming and homely pub with a good vibe. There are different bar areas each with its own character. Good selection of keg and cask ales and a open kitchen serving good, reasonably priced food. The staff are very friendly and the service good. It has a quiz night on Mondays, compered by a charming and entertaining quiz master. Organic food, homemade stuff, including cakes and pastries, meditation evenings, live music at the weekends, an outside terrace and a really funky interior... Love it!! This viewpoint in the Addington Hills provides breathtaking views of all of London. Make sure you visit on a clear day! Like having the countryside on your doorstep, it is a great place for a bike ride or a dog walk. An authentic Thai restaurant that has an amazing menu, offering good quality meat and vegetarian dishes. Share your favourite place to go to in Croydon. "Croydon Palace dates back to around 960, with its current buildings erected in the 15th and 16th centuries. The summer home of the Archbishop of Canterbury for over 500 years, it now forms the estate of Old Palace of John Whitgift School." 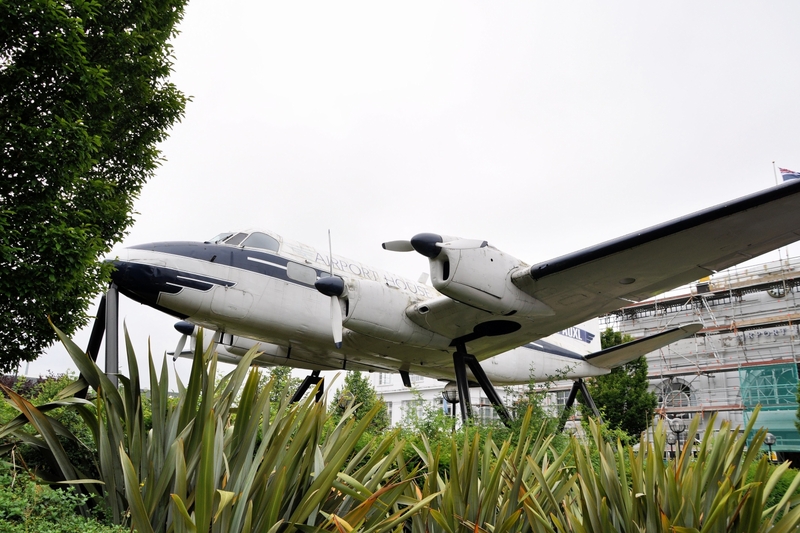 No longer in use, Croydon Airport was once a major international airport that now houses a visitor centre. Mitcham Common is a beautiful area to explore and one that I love taking the dog to when the weather's nice. I have lived here all my life and I love Croydon because it has great transport links that allow you to get to central London in less than half an hour, as well as being so close to the Surrey countryside. It's like having the best of both worlds. Croydon is back on trend. Not only is it the discovery place of fashion's darlings, Moss and Campbell, but it's perfectly positioned with great transport links in and out of London, especially for those quick getaways via Gatwick. Croydon has had polarising press in the past, however new, affordable developments in the area have brought in excitement and with it the balance of family and professional silhouettes. It also boasts one of the oldest markets to date (Surrey St. Market) and is planted with energetic green parks (e.g. Lloyd's Park). Finally, the investment of Westfield shopping centre will position Croydon to lead amongst other fashion forward towns. I have lived in South Croydon for 10 years. There are great transport links, lovely restaurants and decent pubs/bars. You are also not too far from the countryside and only 15-20 mins to Victoria and London Bridge. It's much more affordable than central London. I personally wouldn't live anywhere else right now! What do you think of Croydon? Crafts Bee offers a variety of craft classes including jewellery making Sewing silk Painting Cake Decorating Stained Glass Flower Arranging Knitting & Crochet Card making Quilting Gift Vouchers and Children's Craft Parties. Croydon is a town in South London, located within the London Borough of Croydon to which it gives its name. It is situated 9.5 miles (15.3 km) south of Charing Cross. Croydon is located on the natural transport corridor between London and England's south coast, just to the north of two gaps in the North Downs, one followed by the route of the A23 Brighton Road from Purley to Merstham and the other followed by the A22 from Purley to the M25 Godstone interchange. Croydon has developed as an important centre for shopping. Croydon is split up by a number of different areas in the same borough. Fairfield, Broad Green, West Croydon and South Croydon make up the rest of Croydon, but are known as separate areas in their own right. The most prominent of these towns is South Croydon, which has become a town of its own, with various shops and its own high street. What are your favourite things about Croydon? Find out how much your flat or house is worth om Croydon. Feedback about living in Croydon has been submitted directly by the public and may not neccessarily reflect the views of Foxtons. The description of Croydon was modified from Wikipedia and is available under the Creative Commons licence. Land Registry data is Crown copyright. All the views and contributions contained within Foxtons Local Life are those of the contributors. All content is assessed before publishing for taste, however free opinion is encouraged. Foxtons accept no payment or sponsorship for content that is posted about Croydon.